JAPAN/TAIWAN: Sony signs to buy 5m LCD panels from Taiwanese company, and sell off 'next-gen' TV technology to another | What Hi-Fi? China is one country being wooed, with the intention of supplying TVs for that country's fast-growing market, but now Sony has reportedly signed a deal with one of Taiwan's biggest LCD display manufacturers, which will see 5m screens being delivered. Chi Mei Optoelectronics has signed the deal, according to China's Economic Daily News, as part of Sony's efforts to increase sales from its current position, lagging behind worldwide LCD TV market leaders Samsung and LG. In the past Sony has relied heavily on its S-LCD partnership with Samsung for the production of displays, but has recently been linked with deals with a number of other manufacturers, including Sharp. Meanwhile, Sony has sold off its failed Field Emission Display enterprise to another Taiwanese company AU Optronics. The company had been working on the technology, based around the use of carbon nanotube emitters, for over a decade, seeing FED as a more energy-efficient, higher-quality alternative to LCD. It partnered with a US company called Candescent Technologies in 1998, but that business was wrapped up in 2004, having spent hundreds of millions of dollars on development, the being assets sold to Canon. A later joint venture by Canon, Toshiba and Advanced Nanotech also failed amidst legal wranglings, after which Sony licenced the technology and tried FED again. It showed a prototype display in Japan in 2007, and claimed it would launch production models in 2009. 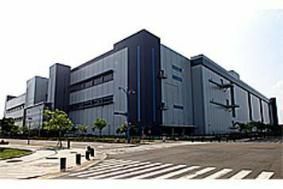 Development was spun off to an affiliate company, Field Emission Technologies, which planned to take over a former Pioneer factory in Japan to manufacture the displays – but last March the company announced its closure, due to a lack of capital. New buyer AUO says it will be partnering with FET Japan, a company run by former staff of the Sony affiliate, and expects to start production of the FED displays, said to be exceptionally difficult to make, 'soon'.